Veteran Oil Partners' geological and petroleum engineering staff members have built their careers working in senior staff positions for some of the country's largest and most successful oil and natural gas companies to include; Ft. Worth Basin giant- Mitchell Energy Development Corp., T. Boone's- Mesa Petroleum, Texaco, and the big dog Halliburton. 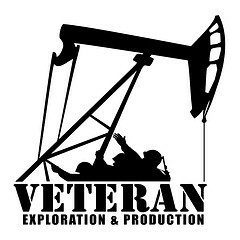 By leveraging this talent and renown expertise, Veteran Oil Partners is a boutique oil and gas operator that boasts exceptional operational capability, an extensive geological database covering over 14 counties and an intimate understanding of the Ft. Worth Basin substructure that rivals that of the big players. Dwaine G Abraham began his oil and gas career in 1978 working for Texaco as an exploration and development geologist where he worked on various onshore projects in South Louisiana. From 1980 to 2002 he served as senior staff geologist for Michell Energy. During his tenure with Mitchell Energy Mr. Abraham proposed and drilled over 300 conventional and unconventional oil and gas wells in tight formations, both development and exploratory. He helped initiate and develop the Barnett Shale formation from its earliest stages, and accomplished a basin analysis project of the Ft. Worth Basin. Mr. Abraham has been a member of the American Association of Petroleum Geologists since 1978. He received the ECC Association award for Barnett Shale team, and is a Certified Geoscientist with the state of Texas, license #5899. Mr. Abraham joined Veteran Oil Partners’ staff in early 2016 as the company’s Ft. Worth Basin Senior Exploration and Development Geologist. His invaluable 40 years of industry experience, 35 of which he spent working various plays throughout North Central Texas’ Ft. Worth Basin, provides Veteran with incalculable knowledge and experience in prospect generation and field development. Starting out with FMC, Narron soon went to work for Halliburton in 1980 implementing new processes, truck designs and tool designs for all product lines. By the end of his 20 years with Halliburton, where he travelled between Arkansas and California, Narron concluded his career as the Mid-Continent Engineer-at-Large. In 2000, he joined Hadaway Engineering, Inc. as one of two managing partners. Responsible for up to 10 drilling rigs and corresponding completions, Narron drilled some of the first Dolomite and Cleveland horizontals in the Anadarko basin and followed up by fracing these with the first Packers Plus type systems. Narron has been in the oil & gas industry for 30+ years, during which he has fraced and completed over 300 horizontal wells of all system types in all formations of the Anadarko basin. Currently, he manages ~30 salt water disposals—commercial and private. He has worked with pressures of 15,000psi and wells deeper than 28,000 feet and has vast experience in coil tubing and snubbing. Essentially, Darrell is known to work on wells other people read about in trade magazines. Allen Hadaway grew up in the oil and gas business. His father, William R. Hadaway, was an independent geologist for most of his career, and Allen spent many summers and weekends with his father on drilling rigs. - Roustabouted, roughnecked and drilled while putting himself through college - Worked offshore gulf coast as a derrickman on semi-rig - Graduated from University Of Oklahoma with BS in Petroleum Engineering (1982) - Worked for Mesa Petroleum in Amarillo for 3 yrs as a drilling and completion engineer for the mid-continent area - Worked for C.W. Kelley Jr., Inc. 5 Years as a drilling and completion engineer in the mid-continent area - Established Hadaway Engineering, Inc. in 1990 and since 2011 is now a managing partner in Hadaway Consulting and Engineering, LLC - Has drilled approximately 400 horizontal wells in the mid-continent area in such formations as, Cleveland, Tonkawa, Dolomite, Cottage Grove, Atoka, Morrow, Barnett Shale, Marmaton, Kansas City and Hepler - Has vast experience in completion of cased hole and open hole packer systems - Has worked on wells with SITP of 12,500 psig and 22,000' in depth. Allen Hadaway has extensive experience in drilling, completion and production of vertical and horizontal wells in the mid-continent area and is currently a registered Professional Engineer in the state of Texas.